As some doctors work part-time, appointments may not be available on certain days of the week and as there are a limited number of booked appointments per doctor you may have to wait to see the doctor of your choice. Appointments can be made by telephone or at the reception desk. Why make a Pre-Booked Appointment? If you need to see a doctor regularly for a long-term problem it is best to see a single doctor. This means that the doctor will know your case and you will not have to explain your case every time you see them. The doctor may ask you to book an appointment after a certain period of time. Different doctors within the practice have special interests in certain diseases and may have specialist qualifications. You may wish to consult different doctors with regard to different problems. A booked appointment ensures that you see a doctor of your choice. The practice will try to accommodate patient preference to male or female health professional. Please be mindful that choice of clinician is subject to availability. Please note we are a training practice for doctors learning to become professionals. They will be running supervised clinics alongside our GP’s and will be guided when there are any complex problems. A set number of appointments are available for each morning and afternoon surgery and patients are allocated to ANY doctor in strict rotation. Please be aware that in order to assist you, you may have to provide a reason for clinical safety purposes to ensure your problem is dealt with effectively. This will assist the GP to plan your appointment better and appropriately, therefore we would be grateful is you can cooperate with the reception team. Appointments can be made by ‘phoning the surgery' between 08:00 – 11:30 on the day of the appointment. These appointments are more popular than morning appointments; if you feel that you need to be seen on a particular day, please ring in the morning. 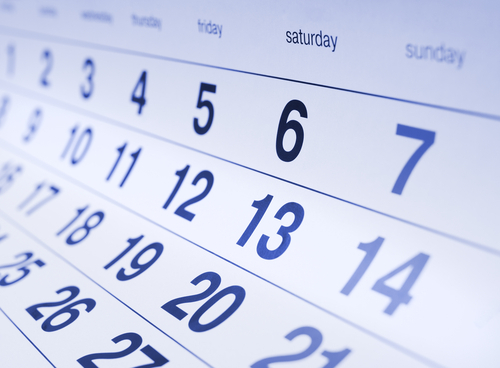 Why should I make a Same Day Appointment? If you have new problem and you do not mind which doctor you see. If you need to see a doctor about an existing problem and you do not feel that you can wait until a planned appointment with the doctor of your choice. What happens if there are not Same Day Appointments? You can make a Pre-booked Appointment. You can ring early for a Same Day Appointment at the time of the next surgery (however this may not guarantee an appointment). If you feel that your problem requires immediate medical attention, please give your phone number and details of the problem to the receptionist. The doctor will ring you back to assess the problem and advise an appropriate appointment or course of action. Do not come to the surgery without phoning for an appointment first. For follow up appointments please inform the receptionist. For any minor ailments such as flu, cough & cold, fever Diarrhoea, thrush, back pain, urine infection, hay fever and vomiting please call early in the morning to ask to speak to the GP who will call you back and will assess your problem over the phone and where necessary may prescribe medication or elect to book you in themselves if you require further diagnosis. Some patients fail to attend their appointment without phoning to cancel; this appointment is wasted. Wasted appointments stop us offering longer appointments. Patients are reminded to keep appointments or to notify the reception staff if the appointment is to be cancelled. If a patient repeatedly fails to attend a pre-booked appointment on more three occasions in the last year, a communication letter will be sent to the patient on the third occasion.